An unlimited range of civil products are manufactured ranging from footings, sleepers, retaining walls etc. for civil projects. Components are made to exacting specifications. 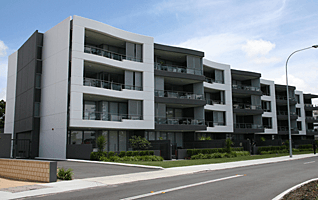 A wide range of precast elements are supplied into this market to exacting specifications and tolerances. 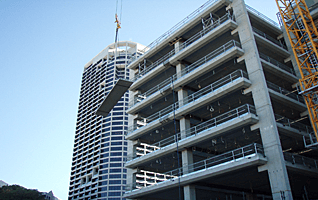 Columns and Beams are manufactured for all types of structures from factories to multi storey office buildings. 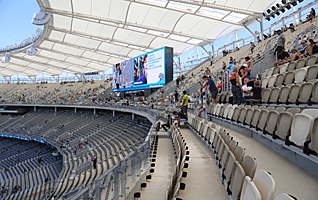 Plats are an integral part of any stadium or grand stand. 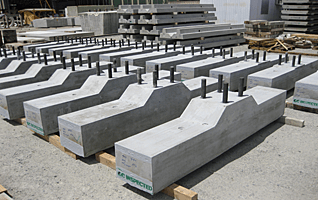 Precast in a factory environment guarantees quality and on site speed of construction. Wall panels can be manufactured in all shapes and sizes, colour and finishes to suit your project. They can be used as simple cladding or as a load bearing element which supports the floor slab.